Your post made me think of our little store we had at the corner of Vine and route 35. The fenced in back yard was always covered in return bottles. 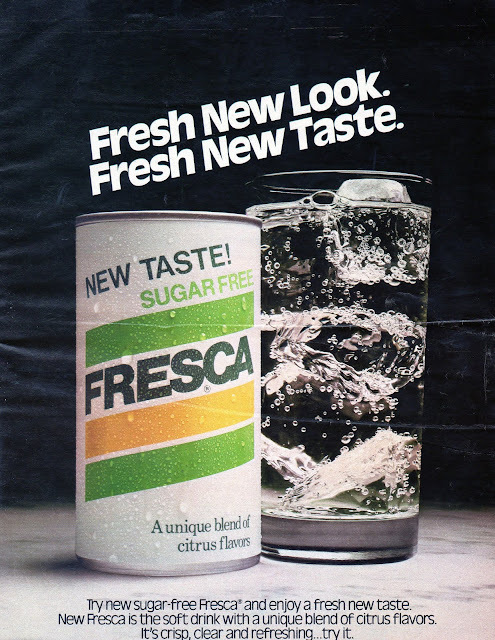 You had the 10 oz, 12 oz and 32 oz. And all those old wooden bottle crates. I think they're actually collectable now. There were plenty of kids that made a "living" bringing bottles in. When I hear Lynyrd Skynyrd's Ballad of Curtis Lowe, I always think of this. Good growing up there. I have fond memories of both Aaron's post and Mark's reply. Avant's was the corner grocery at Vine/Hwy 35. My two older brothers, lacking money to buy a drink inside the store, "poured up" their own by collecting the small remnants of what remained in the almost-empty bottles in the back of the store. (That makes me sick at my stomach just thinking about it today. Good times ... good times.) And I, too, Aaron, used to get a Mello Yello at the Mad Butcher machine and drink it as fast as I could. The reason I did was because of a TV commercial in which Mello Yello had a western-gun-draw type challenge to see how fast someone could drink a Mello Yello vs. one of its competitors. 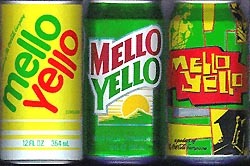 The point was that Mello Yello was so smooth and tasty that it went down fast. They had a timer on the TV screen, and I always wanted to beat that time. Thanks for the great memories, Anonymous. That commercial you mentioned is probably why I gulped mine down too! I completely forgot about that - nice job! But please - identify yourself! :) It's always good to meet another retro lover! 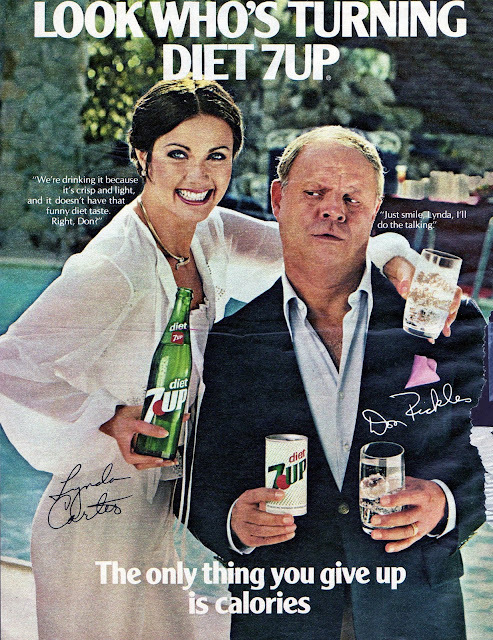 I haven't found the western ad yet - but here's one where they chug. 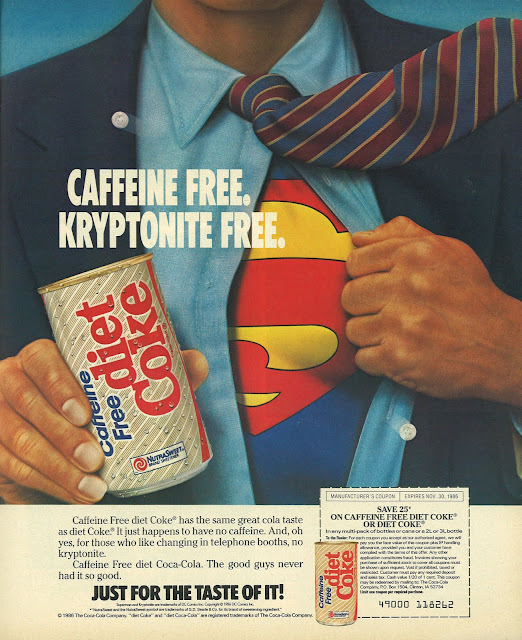 I'll have to do a new post & feature these ads!